Look forward to the World’s Leading Travel Trade Show – 6 - 10 March 2013 on the fairgrounds of Messe Berlin. Breaking Travel News catches up with key tourism decision makers from around the globe on the convention floor at ITB Berlin 2013. Exhibitors from over 185 countries and regions, 120,000 trade visitors and business deals worth €7 billion confirm ITB Berlin is where supply meets demand. 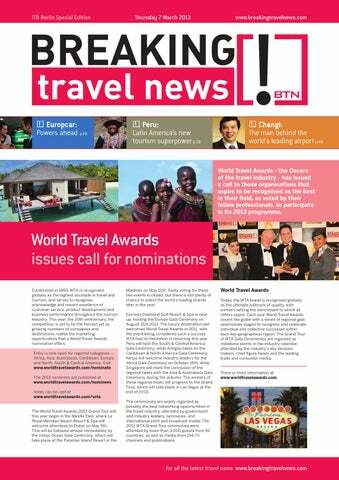 Here Breaking Travel News talks with the key players at the event moves into the second day of the 2013 show. The world’s leading travel trade show, ITB Berlin, is a must-attend event for every international expert in the tourism industry. 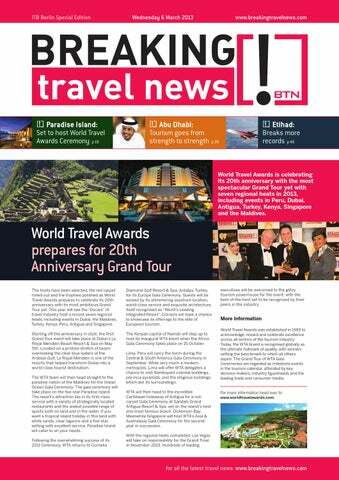 Here Breaking Travel News joins delegates as the 2013 incarnations of the event gets underway in Germany.